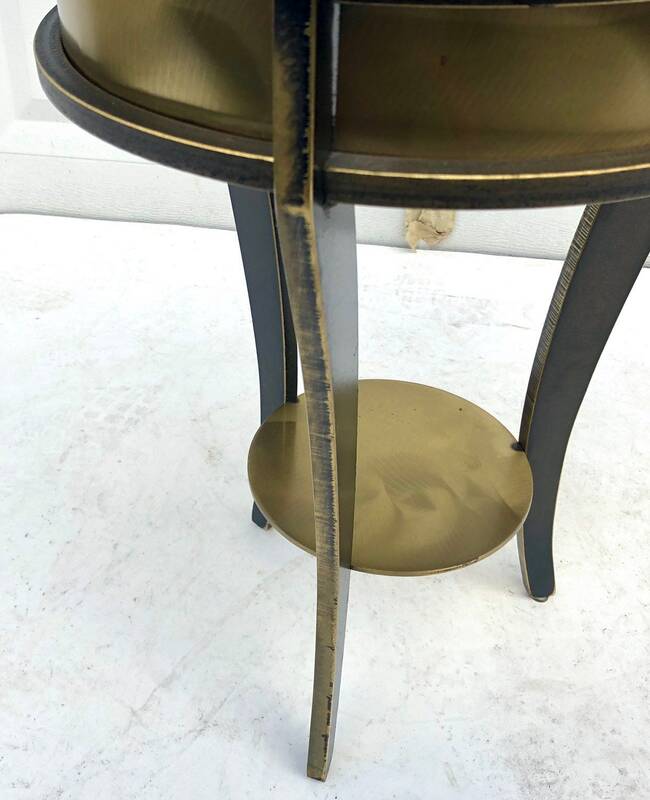 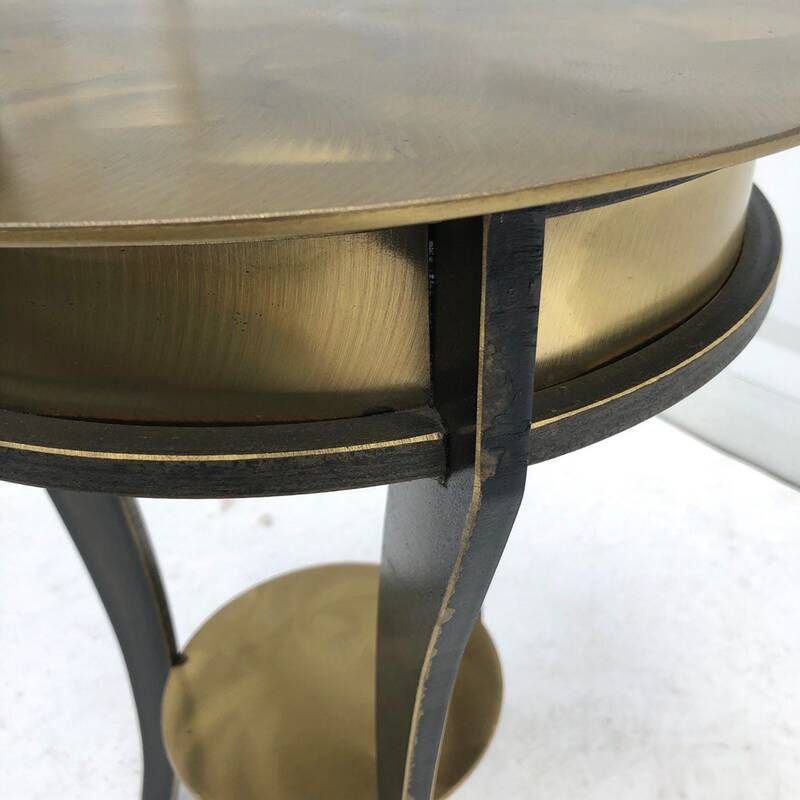 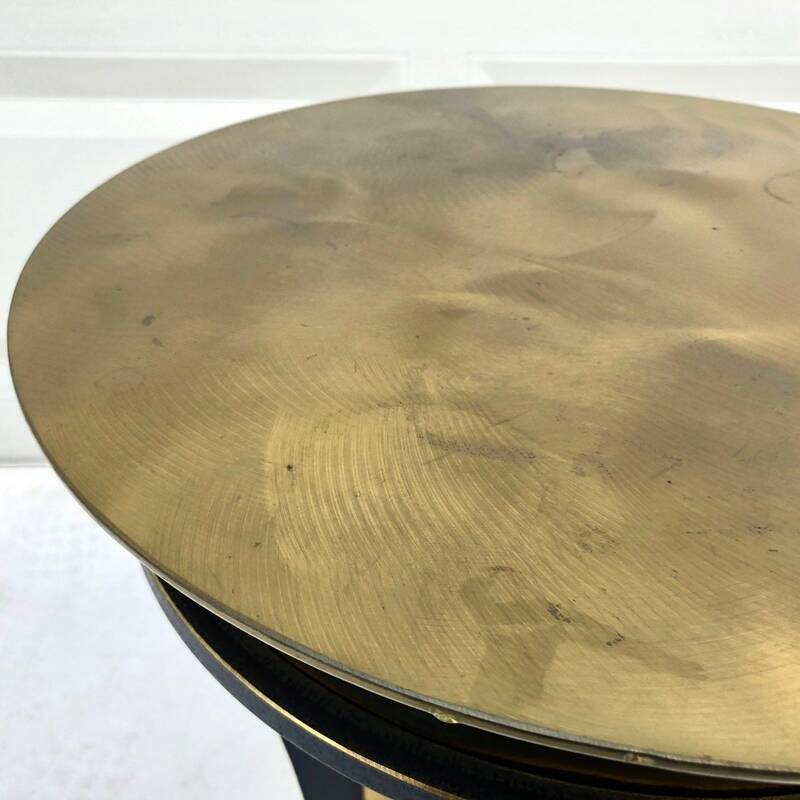 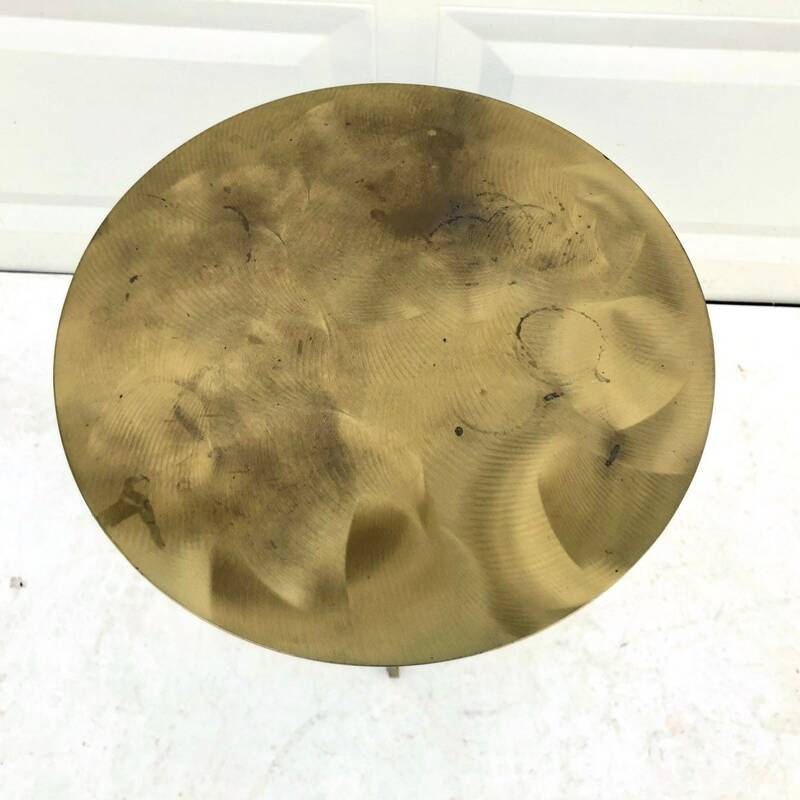 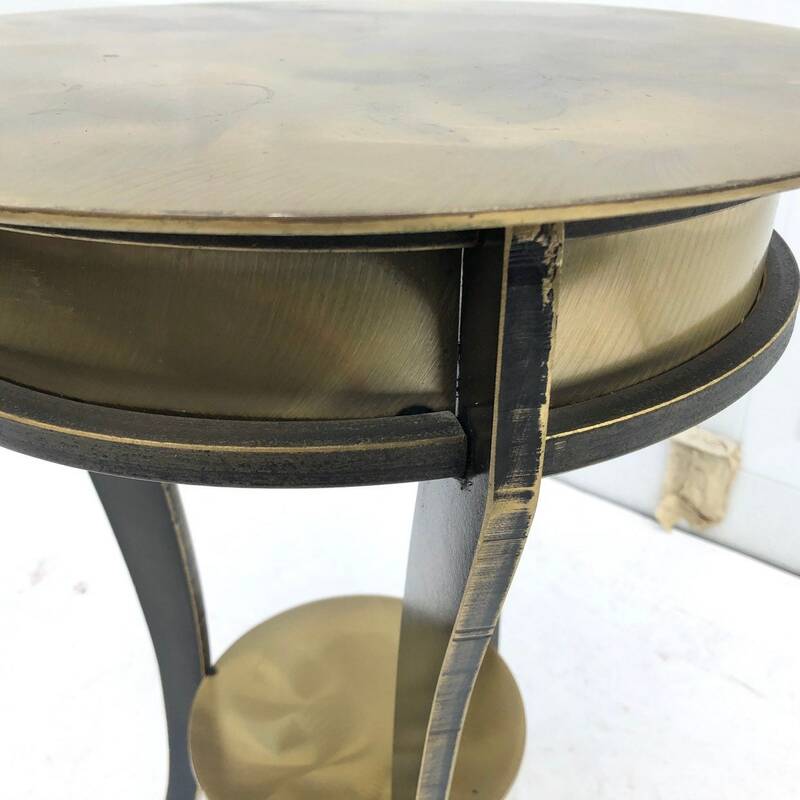 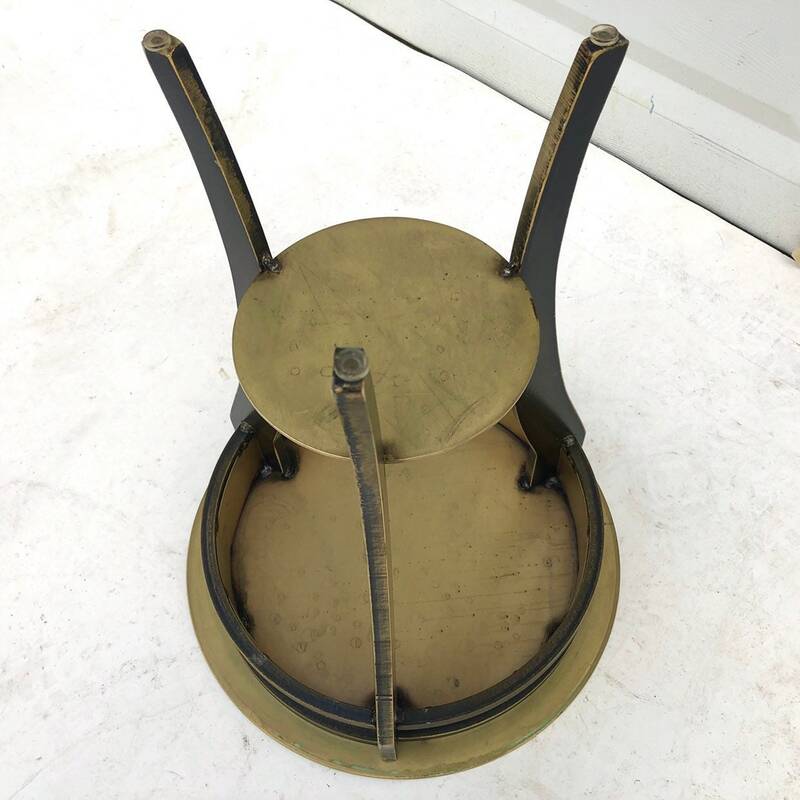 This stylish vintage modern side table features a brushed brass finish with uniquely textured finish. 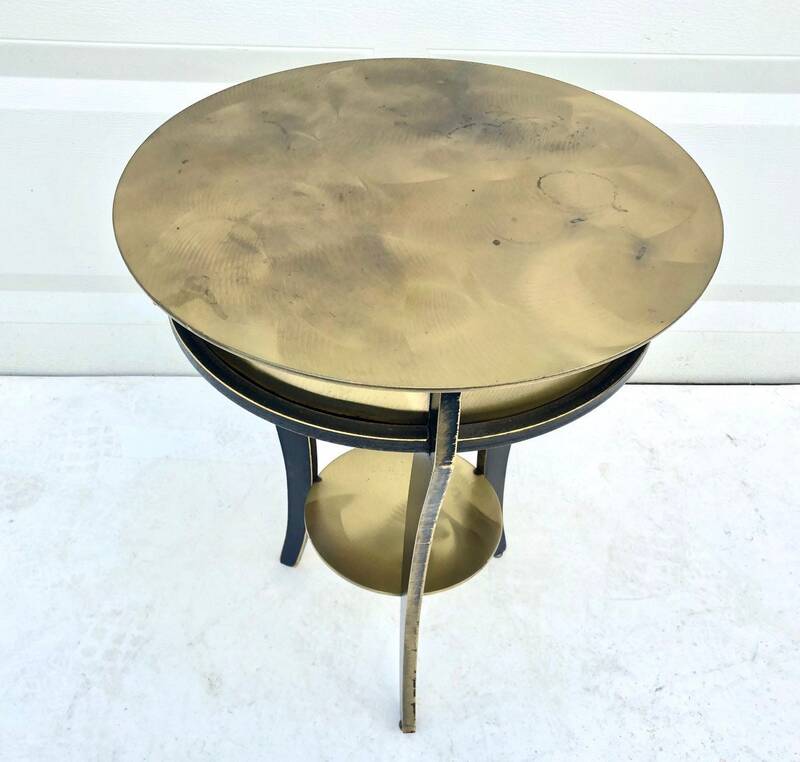 This substantial yet petite table is quite heavy and equally sturdy. 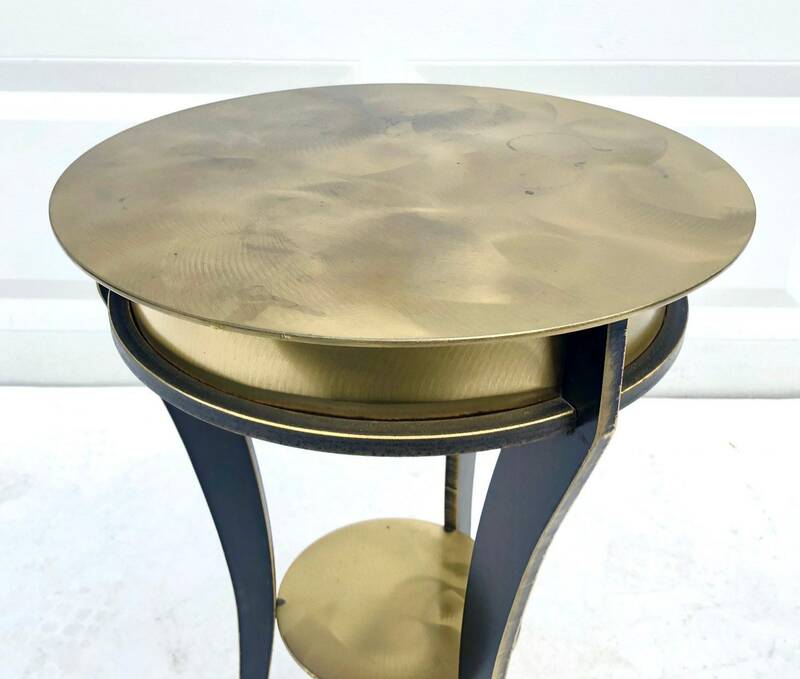 Makes the perfect lamp table for home or business seating arrangement, or as a small pedestal for vase or sculpture.